Our modular pivoting system allows for easy installation, in-service inspection, and removal of your equipment. 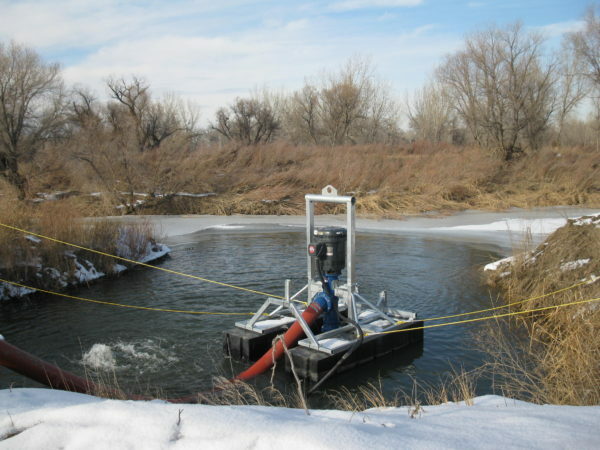 Superior to conventional vertical pumps installed on improvised barges the Turbi-Float® & Centri-Float® Systems deliver the performance available from these platforms in a purpose-designed floating pump packaged system. 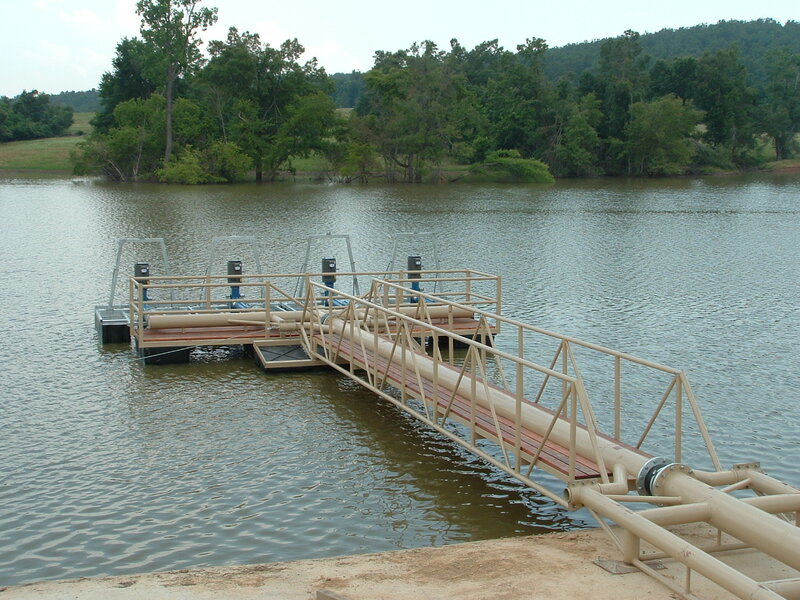 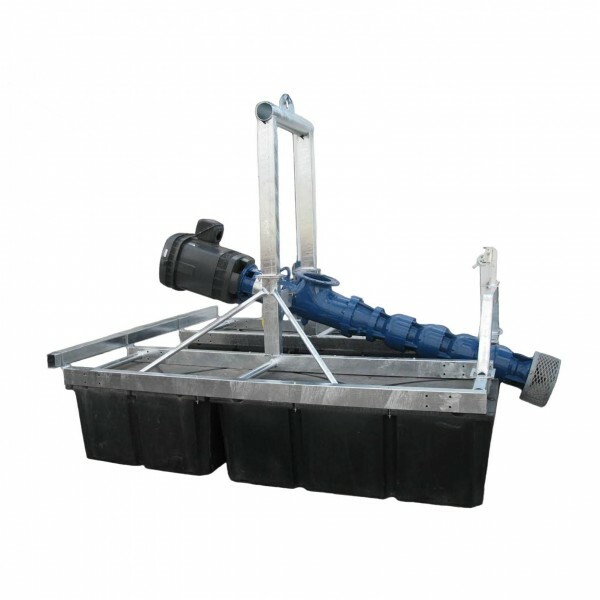 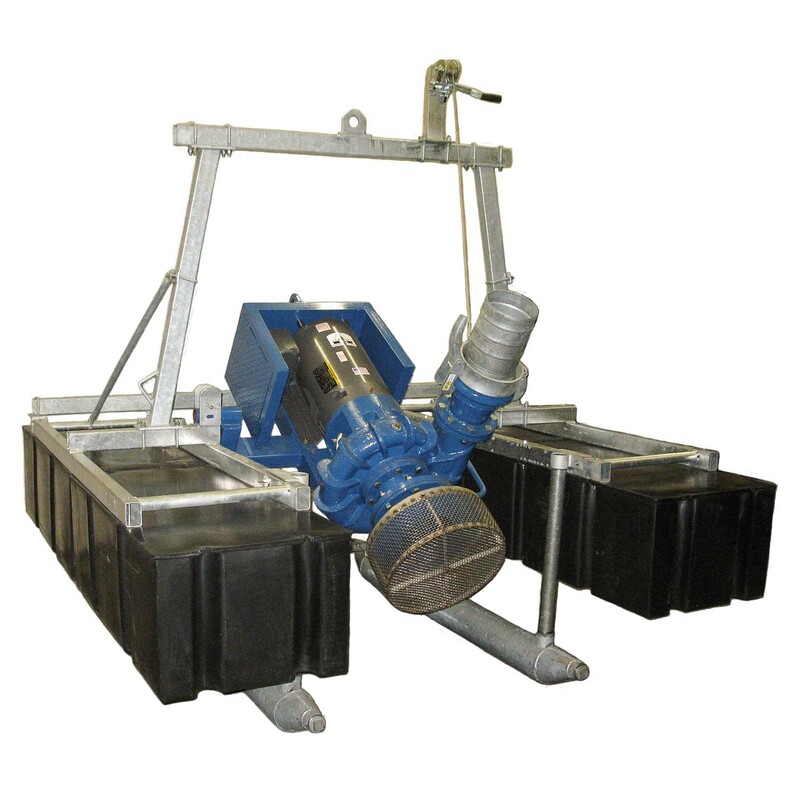 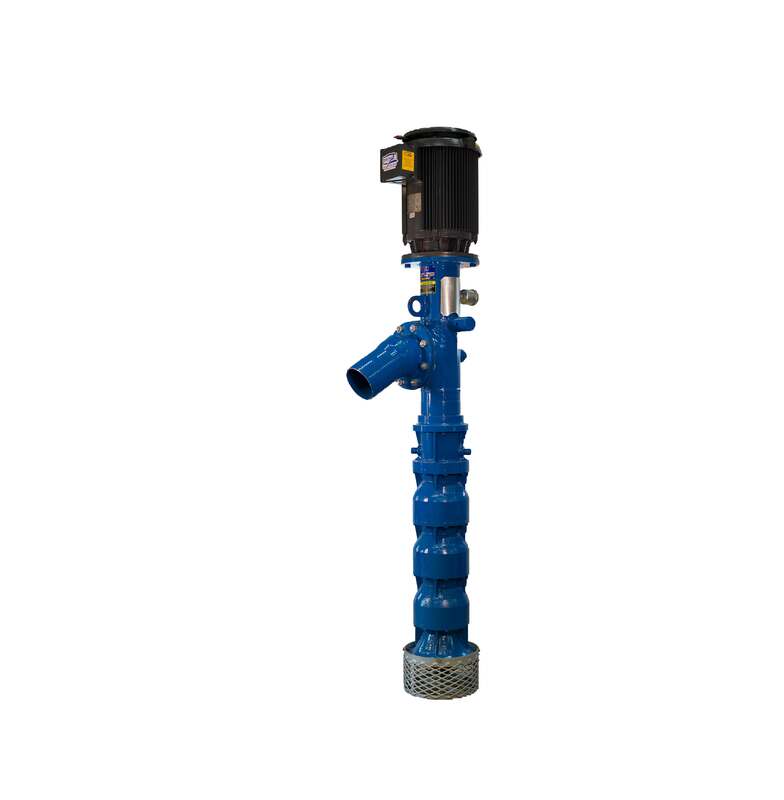 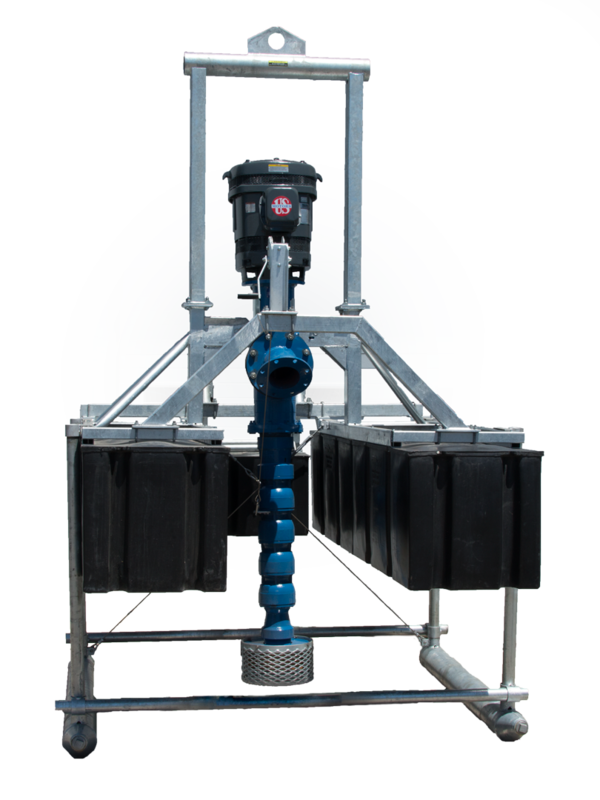 The original high performance floating pump system, Turbi-Float®, was developed to answer the requests for a purpose-designed product intended for use as a floating pump platform. 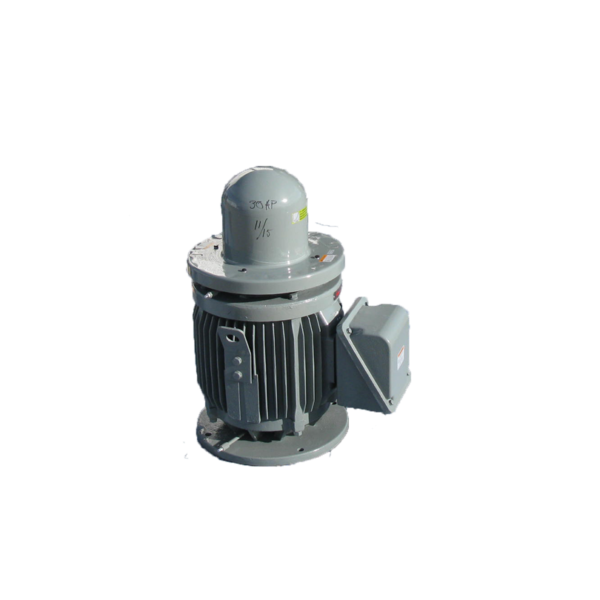 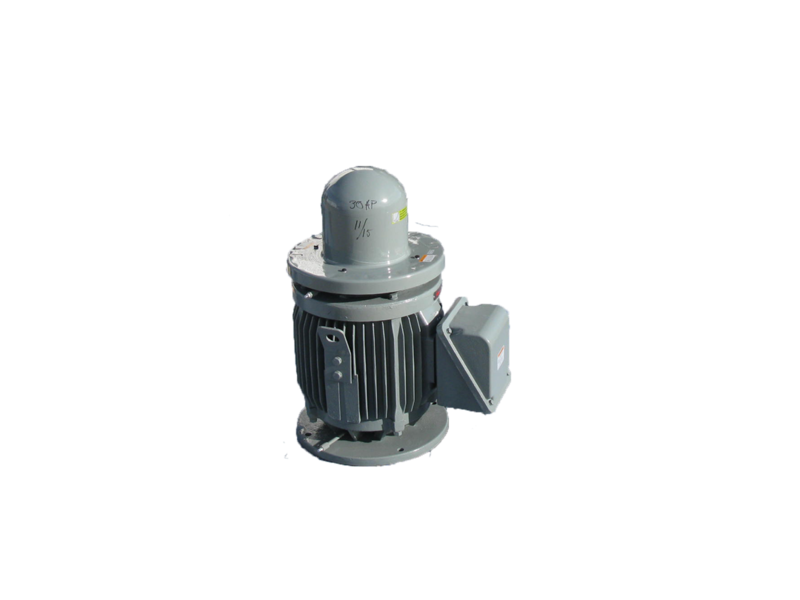 Multi-stage capable vertical turbine bowls are selected and assembled with a corresponding discharge body, motor, and float system into a complete unit for your critical application. 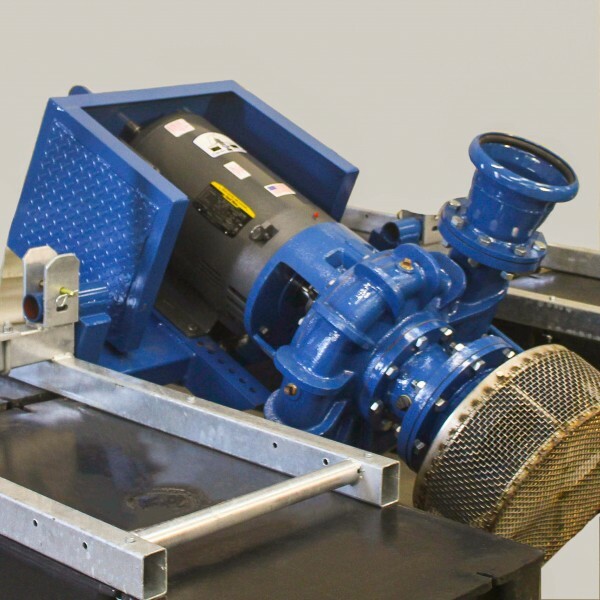 Over 50 standard models cover most applications, while the versatility of vertical turbine design provides ultimate flexibility to handle specific conditions not covered in our standard product line. 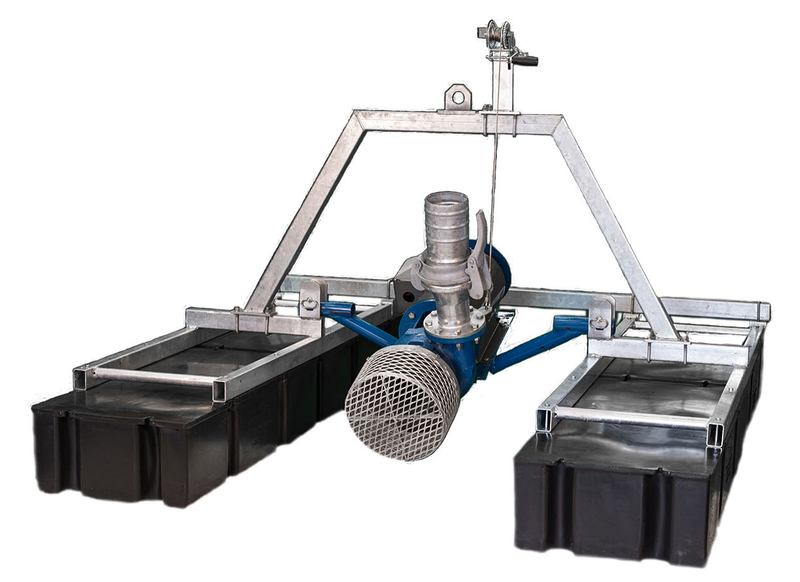 Terms And Conditions Of Turbi-Float® & Centri-Float® Sale, Service And Repair. 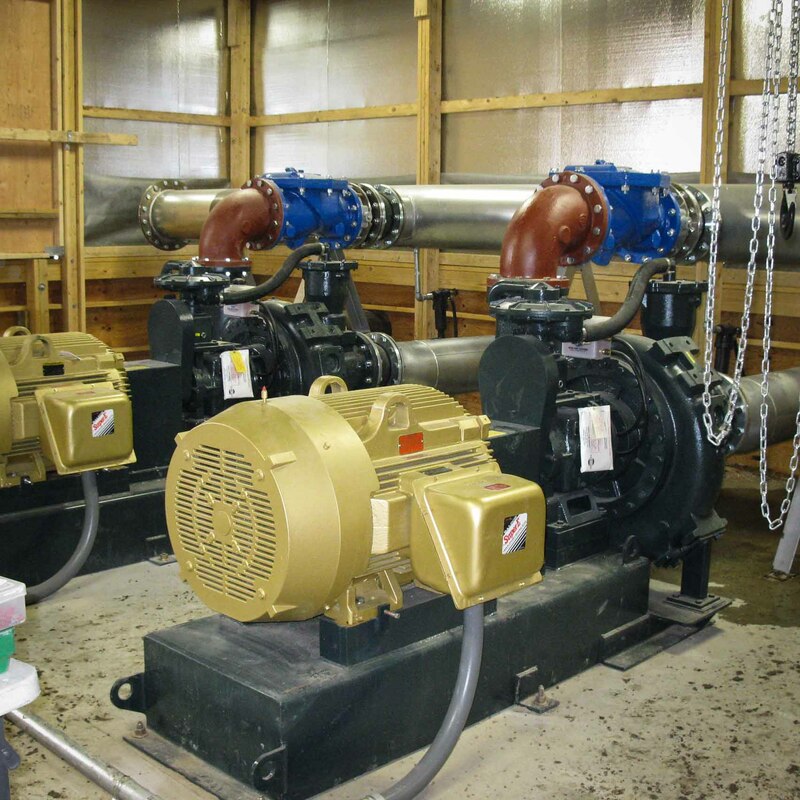 Select end suction centrifugal pumps integrated into our balanced drop-in support system deliver high-value performance in popular flow and head ranges. 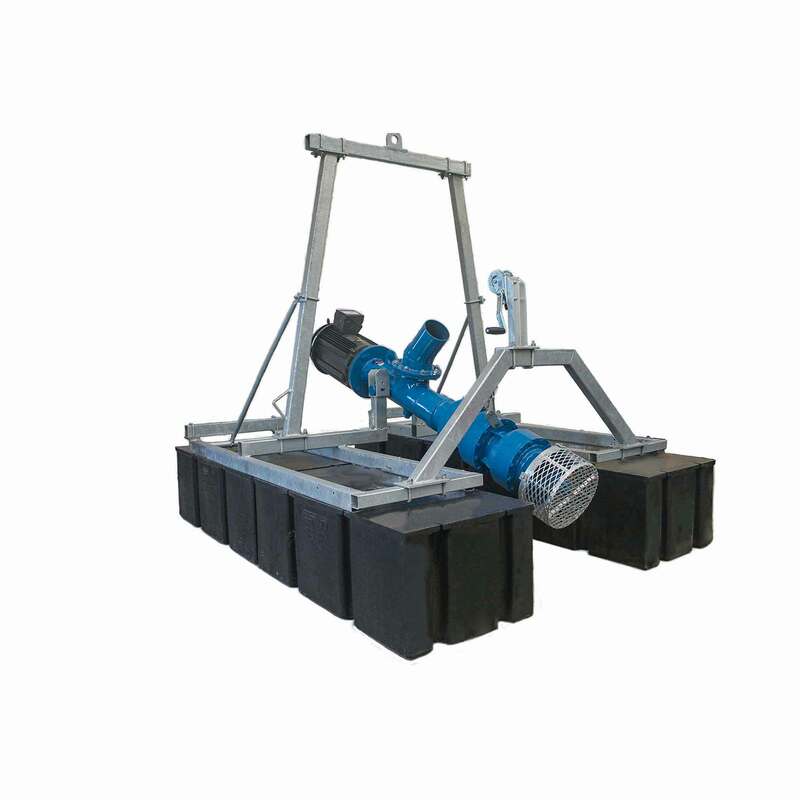 Capable of operating in relatively shallow depths with one impeller stage these units have a wide range of applications in low to medium pressure systems. 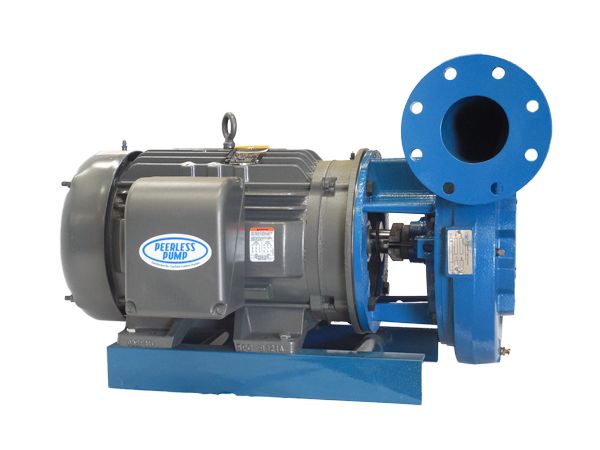 In addition to our manufactured Turbi-Float® and Centri-Float® product lines Canfield Custom Pump maintains the region’s largest inventory of components for conventional vertical lineshaft turbine and end suction centrifugal pumps. Irrigation contractors and others who use these pumps rely on our resources to specify, produce, and deliver pumping equipment quickly and competitively to complete their critical projects. 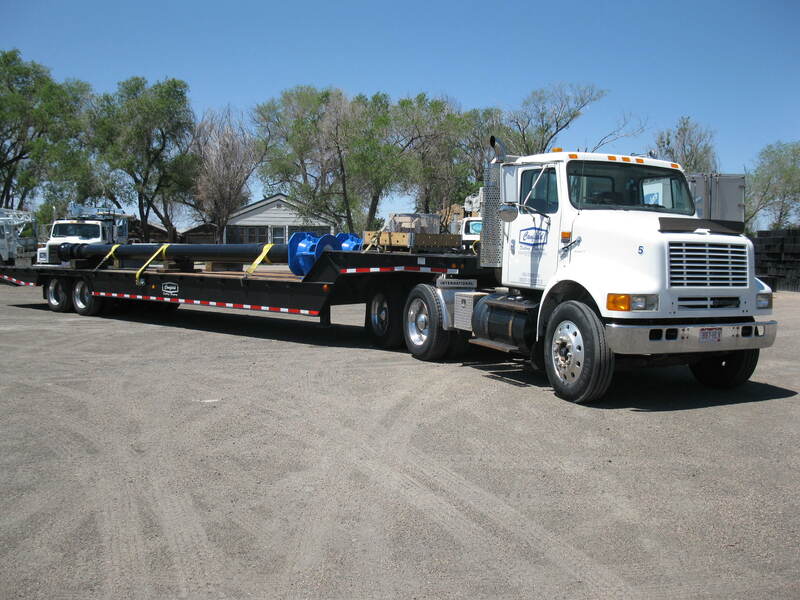 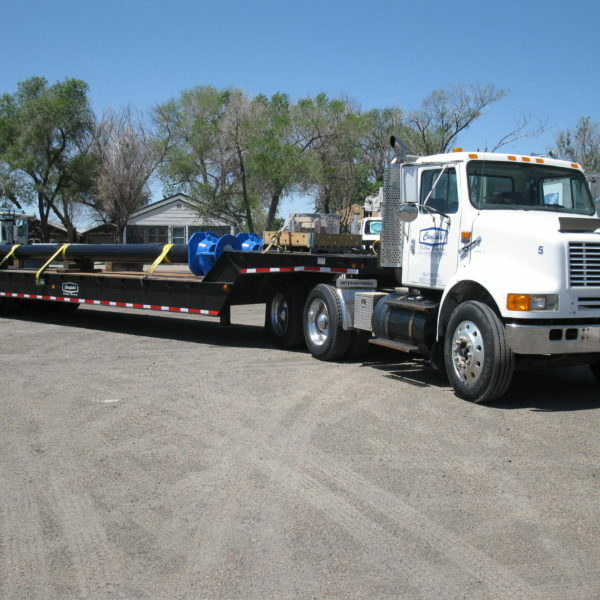 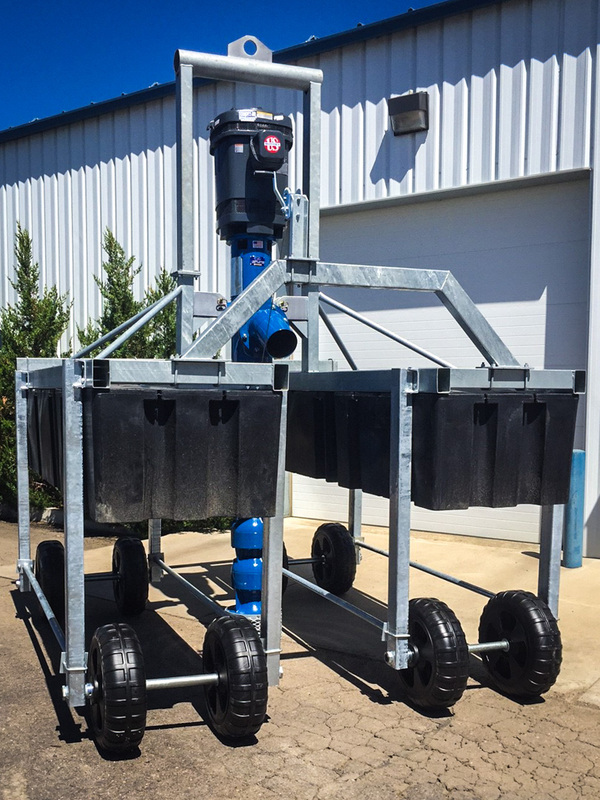 Incorporating special features, accessories, and build-lengths not available from the manufacturer allows us to supply pumping equipment tailored to your application eliminating lost-time, frustration, and additional costs. 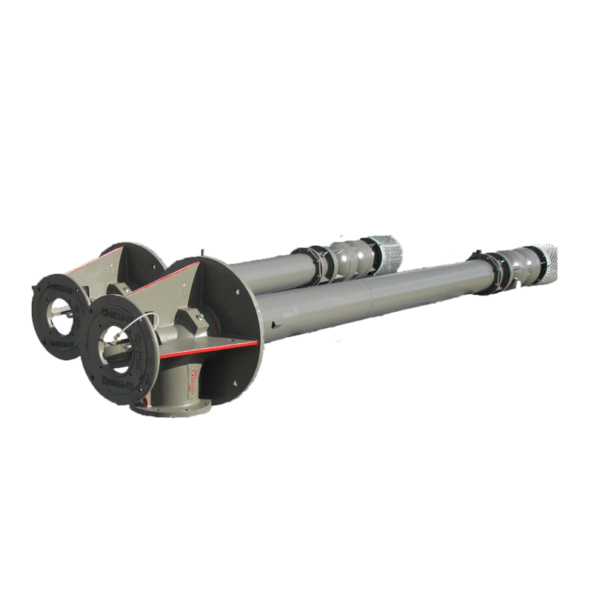 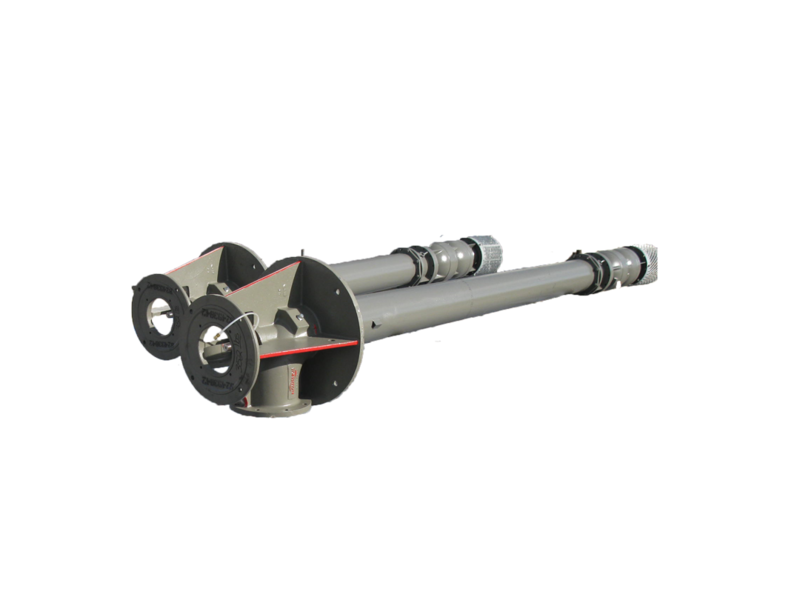 Our standard inventory of vertical lineshaft pumps includes horsepower through 125 and flows to 3500 gpm. 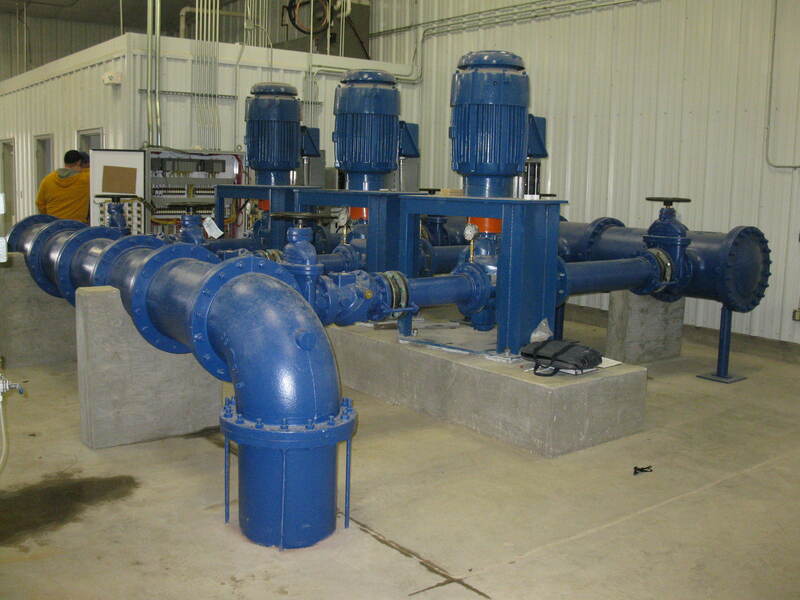 If your application exceeds these requirements unassembled components are brought in and your completed pump is ready to ship with short lead-time and competitive pricing. 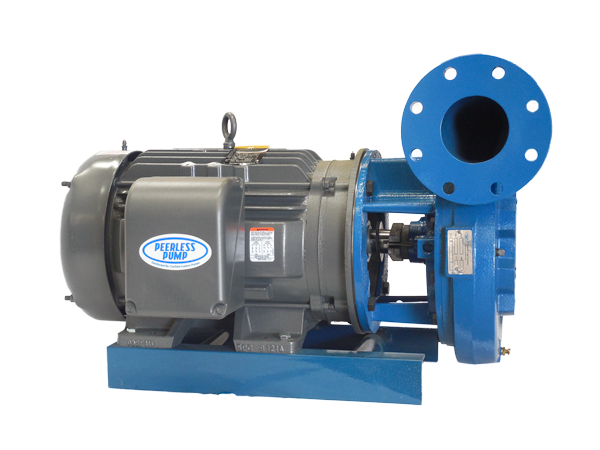 End suction centrifugal pump components are stocked in horsepower through 75 and flows to 2000 gpm. 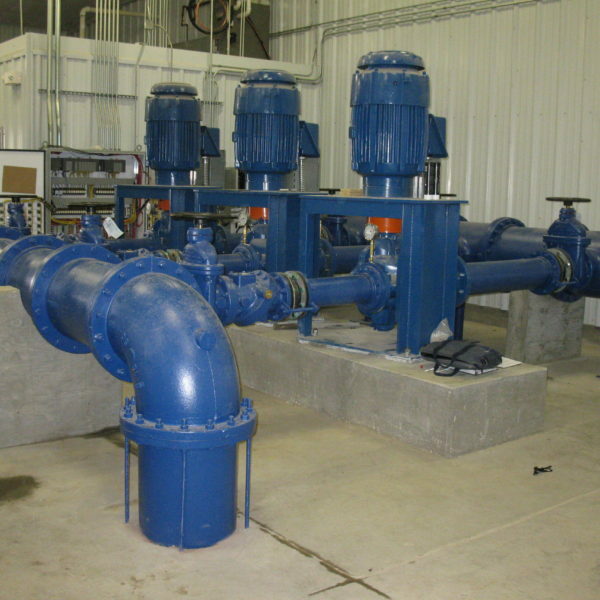 All units are assembled with fabricated sub-frames to facilitate quick field installation.